On August 3, the Neenah H.J. Martin and Son team participated in the Home Builders Association of the Fox Cities Builder Mixer at Sure-Dry Basement Systems of Menasha. The mixer was an opportunity for HBA members to tour Sure-Dry Basement Systems and mingle with other members. The newly remodeled location featured offices that were designed with reclaimed wood walls, all of which were done in-house. Sure-Dry Basement Systems not only distressed its own wood, but installed it as well. 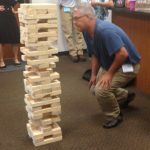 “We were absolutely amazed at what a talented, creative group of people work there! The end result was absolutely beautiful,” says Karen Siegrist, interior designer and assistant manager at the Neenah showroom of H.J. Martin and Son. The light fixture in the photo (below, center) with H.J. 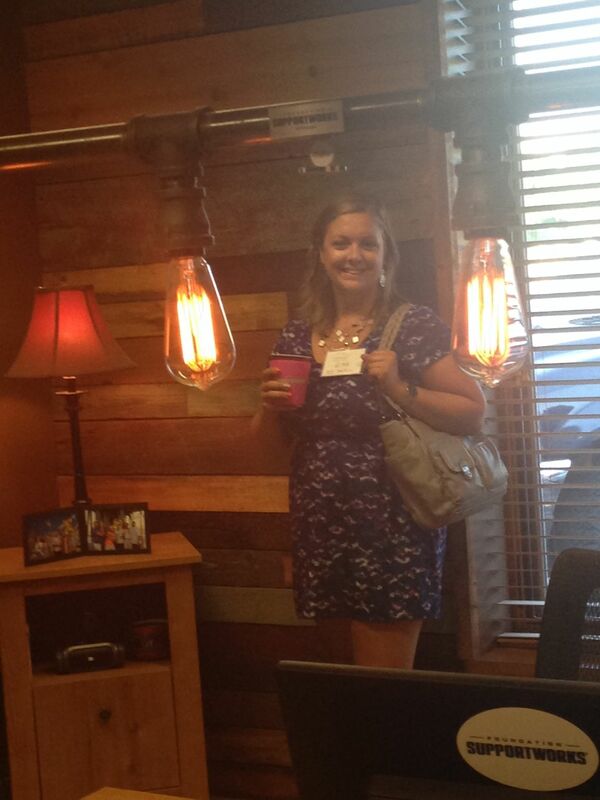 Martin interior designer Lisa Herrmann is hand made from piping and “squirrel cage” Edison bulbs. 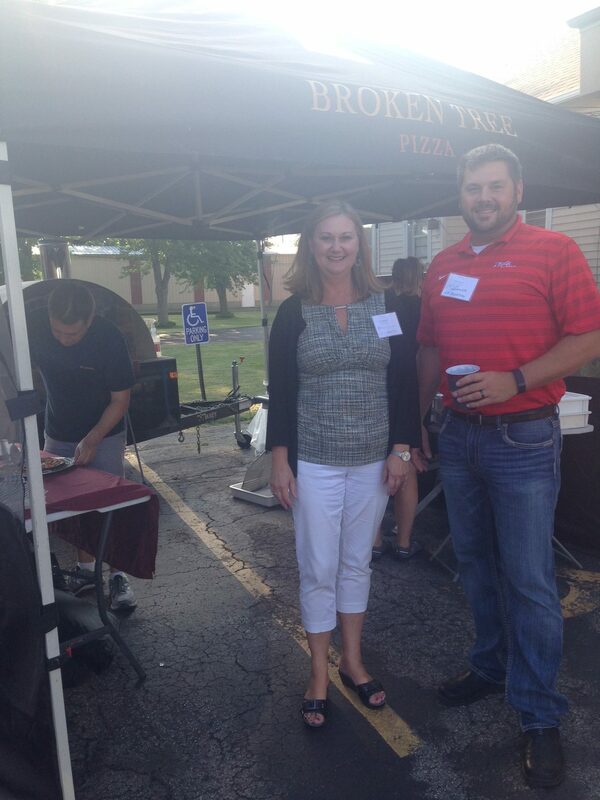 Broken Tree Pizza of Neenah provided the food and they received rave reviews for the amazing wood-fired pizza, cooked on site. 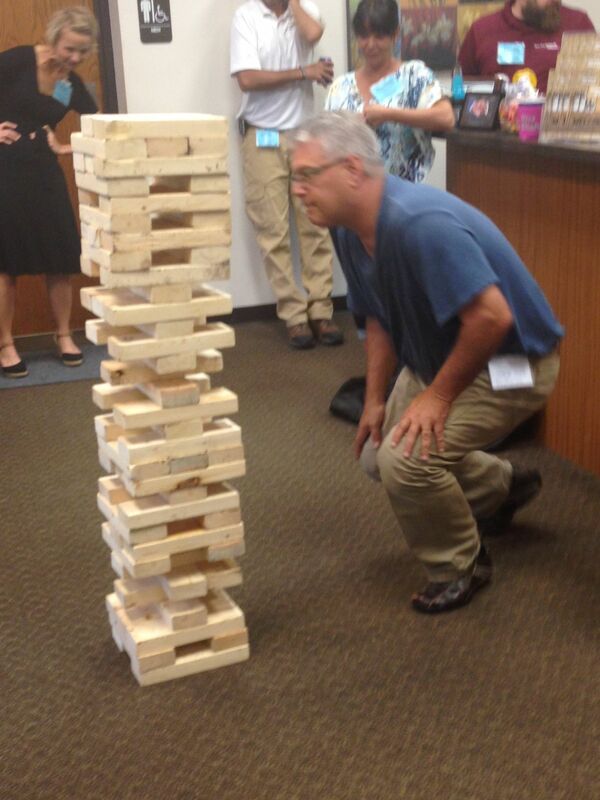 Our own Jeff Giordano (Photo below, right) played a mean game of oversized Jenga. New connections were made and a great time was had by all. Thank you to the Home Builders Association of the Fox Cities for bringing our community together for a wonderful event. VISION: All builders and associates take pride in being active members, working together with trust to ensure members have the first opportunities to provide safe, attainable housing in the Fox Cities area. MISSION: We lead in business development opportunities. We promote professional business and construction practices. We enhance the quality of life in the Fox Cities area. 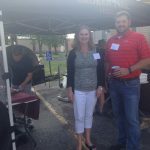 A 501(c)(6) professional organization, HBA Fox Cities consists of more than 400 member companies which employ more than 5,000 people who live and work in the Fox Cities area. Business development opportunities – member businesses gain exposure to fellow members and consumers through advertising and sponsorships as well as public events such as Parades of Homes, which include new homes and remodeling projects. Housing advocacy – with grassroots efforts, HBA Fox Cities, in partnership with the Realtors Association of Northeast Wisconsin, works to defeat excessive regulations and to defend safe and attainable housing at all levels of government. Critical news & information – HBA Fox Cities provides industry information to members and the public through its website, publications, e-newsletters and more. Educational programming – HBA Fox Cities’ educational programs can help businesses thrive and improve the overall professionalism of the home-building industry. Course offerings help members stay current on new building ideas and technology, learn new business strategies and stay on the cutting edge of sales and marketing techniques. Community involvement – through the HBA Fox Cities Fund of the WBA Foundation, HBA Fox Cities proudly offers grants to local housing-related charities and provides scholarships and tool grants to students pursuing careers in the construction industry. HBA Fox Cities also serves as the local coordinating organization for the Toys for Tots program of the U.S. Marine Corps Reserves. And, in June 2016 HBA Fox Cities partnered with Habitat for Humanity to build a house in one week during the Habitat for Humanity International Blitz Build. 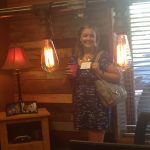 Membership services – exclusive discount programs, dispute resolution services, template construction documents, networking events and more add to the benefits of membership in HBA Fox Cities.